One of the common complaints I hear about Austin is the lack of a serious art museum. (And to be honest, I’ve said it myself.) Nearby Houston has an entire museum and arts district — something many of us would love to see here in town. But I’m discovering that Austin does have some wonderful small museums and galleries, including my newest find: The Contemporary Austin. We made an unplanned visit last week to the Jones Center location (honestly, we were just out for a walk and saw the sign) and were very pleasantly surprised. 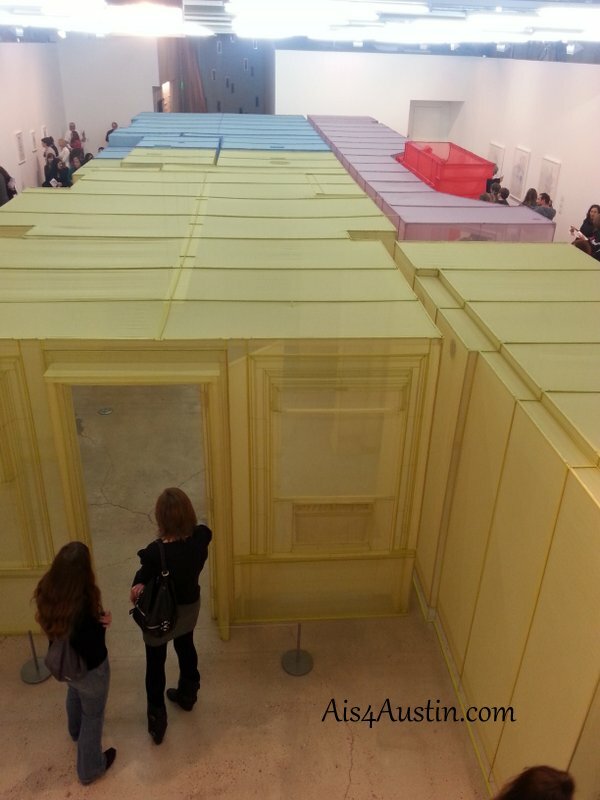 The spacious galleries featured an installation by Do Ho Suh and his vision of the art in everyday objects and spaces. His work strips away the shells and reveals the essence of space and function. The installation includes a full-size house created from translucent fabric and a bare-bones structure. According to the docent, his intent was to illustrate what we carry from house to house as we move through life — our ghost memories of walls and sinks, doorways and cabinets. 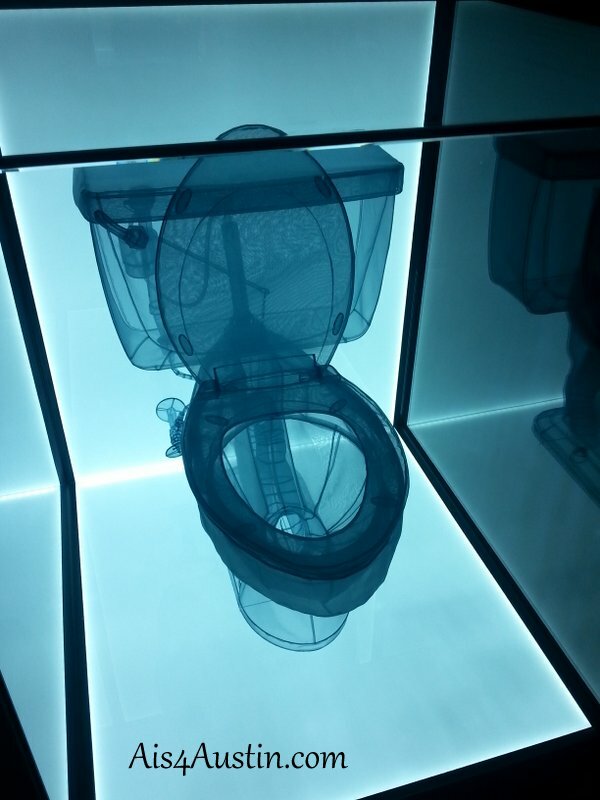 An installation of this size and complexity is usually reserved for larger museums in big cities. 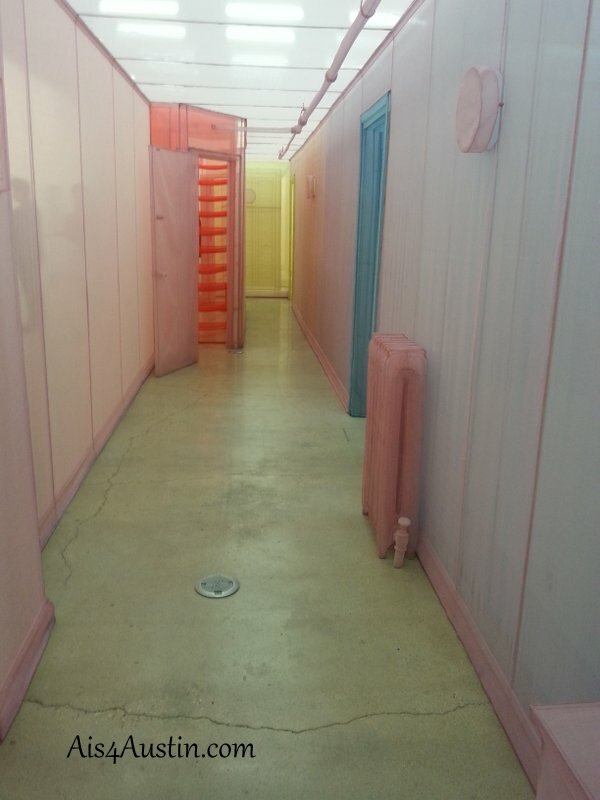 (Do Ho Suh’s work has recently been displayed in New York City, Hong Kong and Singapore.) So its presence in Austin says something significant about the art community here. The Contemporary Austin actually consists of two locations. The Jones Center, located downtown at 700 Congress Avenue and Laguna Gloria with its indoor and outdoor space, located at 3809 W 35th Street in Austin. Both locations are committed to bringing innovative and cutting edge art work and installations to the Austin art community. Admission to either location is only $5 for adults and $3 for children and seniors. Members get in free, and Tuesdays are free to all visitors (although donations are gratefully accepted). The museum offers art classes, programs for teens and children and special events throughout the year. This entry was posted in A is for Art, E is for Encores & Openings, M is for Museums and tagged art, downtown, museums. Bookmark the permalink. M is also for Make a Difference Monday! Find Us on Facebook, too!